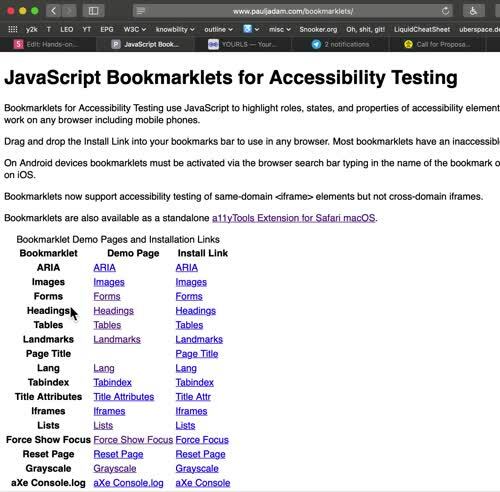 “Accessible design is by its nature flexible, allowing content to faithfully render across a broad spectrum of devices, platforms, assistive technologies, and operating systems. In physical environments, everyone takes advantage of lower curbs, automatic door openers, ramps, and other features provided for disability access. What are we testing against? Most accessibility problems are common across sites/apps. The Problems with SR testing by People without a Disability? Often not enough experience in using the Screen Reader. Wrong Expectations of what the output should be.